Home English NTR Kathanayakudu Trailer will be GB Full! NTR Kathanayakudu Trailer will be GB Full! Pre-release event of NTR Kathanayakudu will be held on December 21st. Trailer of the biopic will be launched on the occasion. Insider talk is that the trailer will be full of Goose Bumps just like the Kathanayaka title song that released some time back. 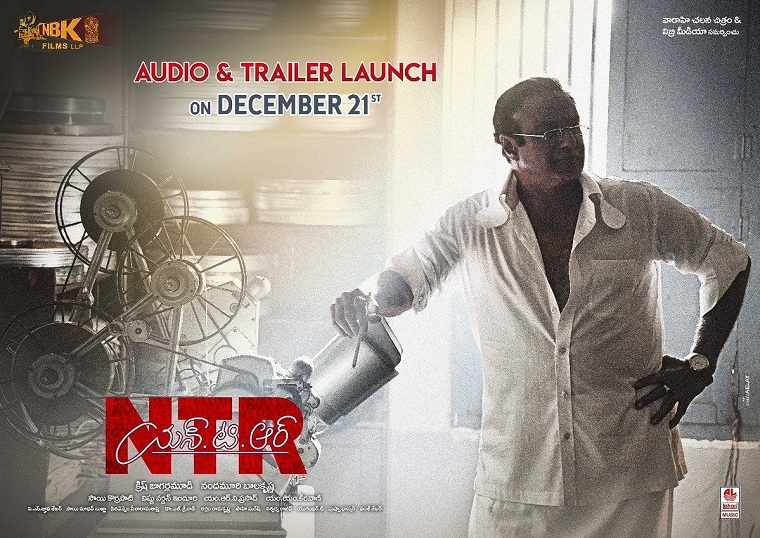 It is learnt that the trailer will only give glimpse of NTR in his filmy avatars. Balakrishna will be seen in NTR’s iconic mythological roles. His heroines will flash in their respective roles. Rakul Preet is playing Sridevi and Tamanna portrays Jayaprada. Half dozen more actresses are part of the film. Makers avoided showing his political side in the trailer. Apparently, Krish Jagarlamudi wants to seperate first part from second part and make the difference felt for the audience. As known, NTR Mahanayakudu will be focusing on NTR’s political journey.